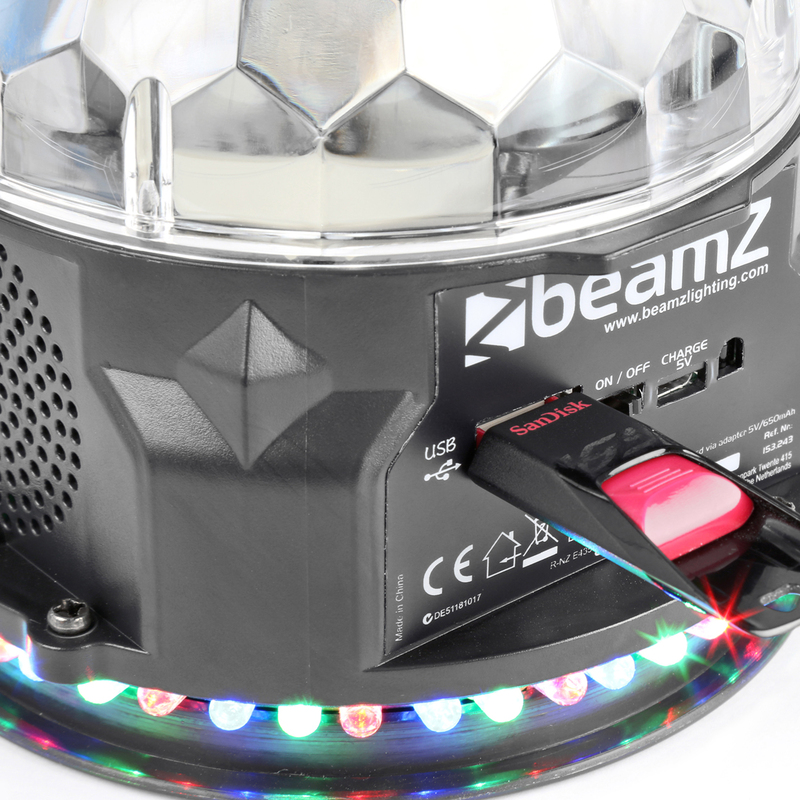 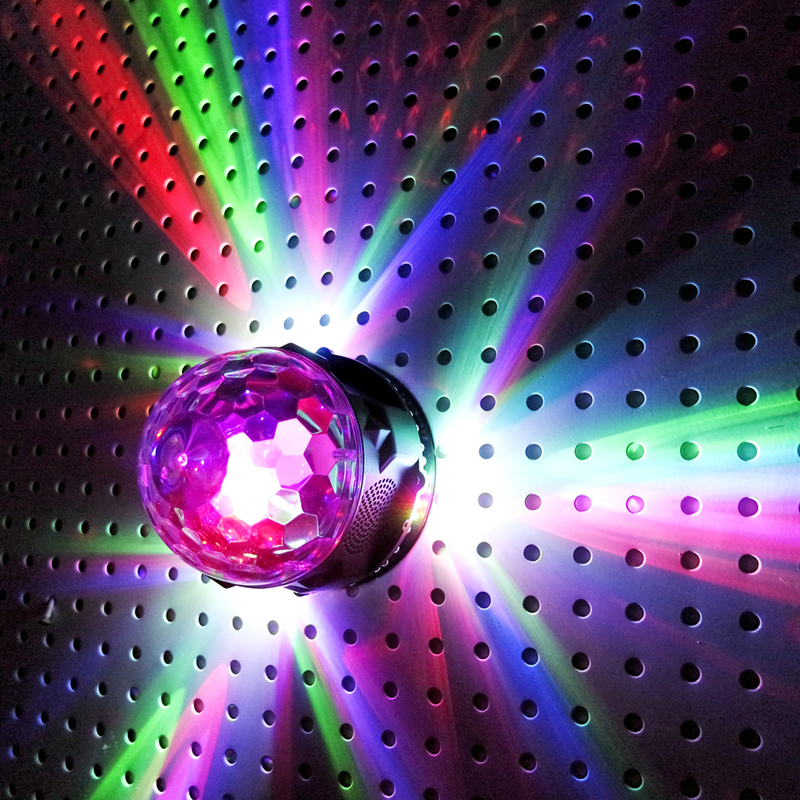 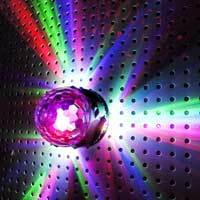 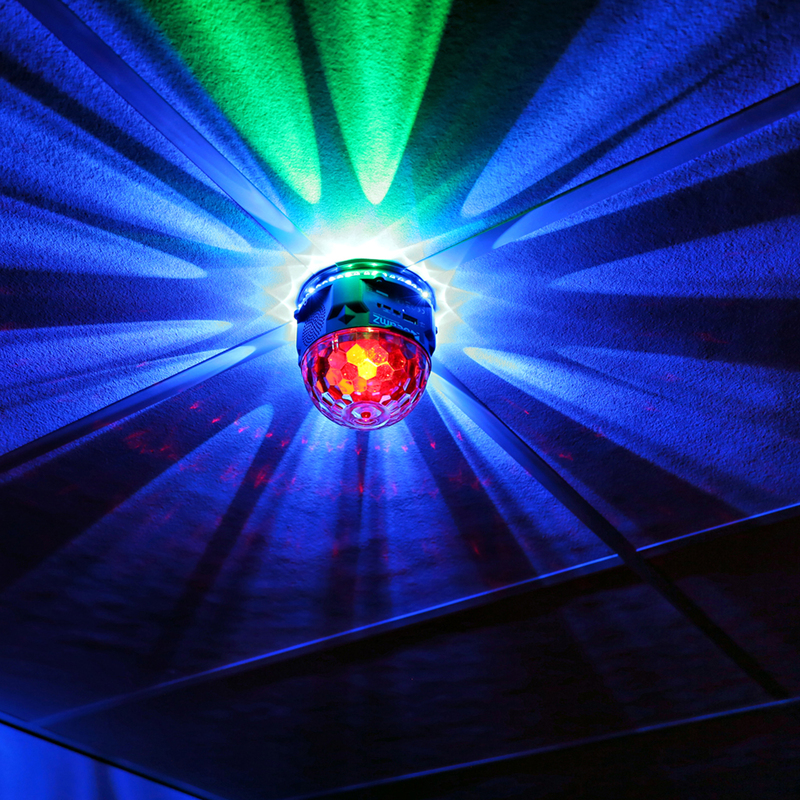 An all-in-one party light. 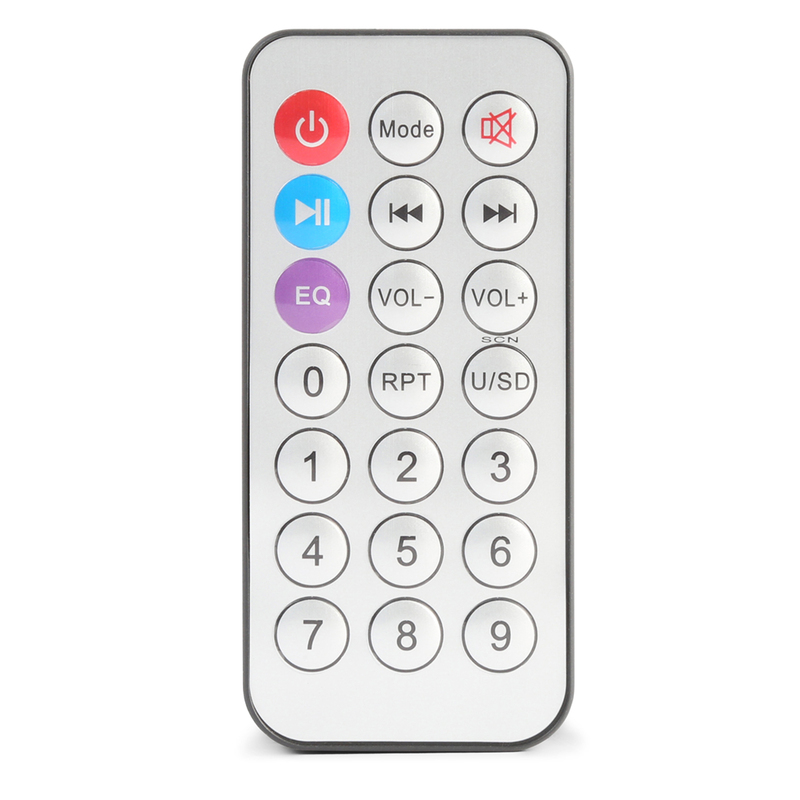 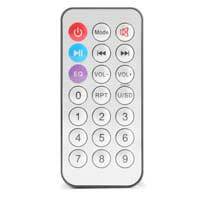 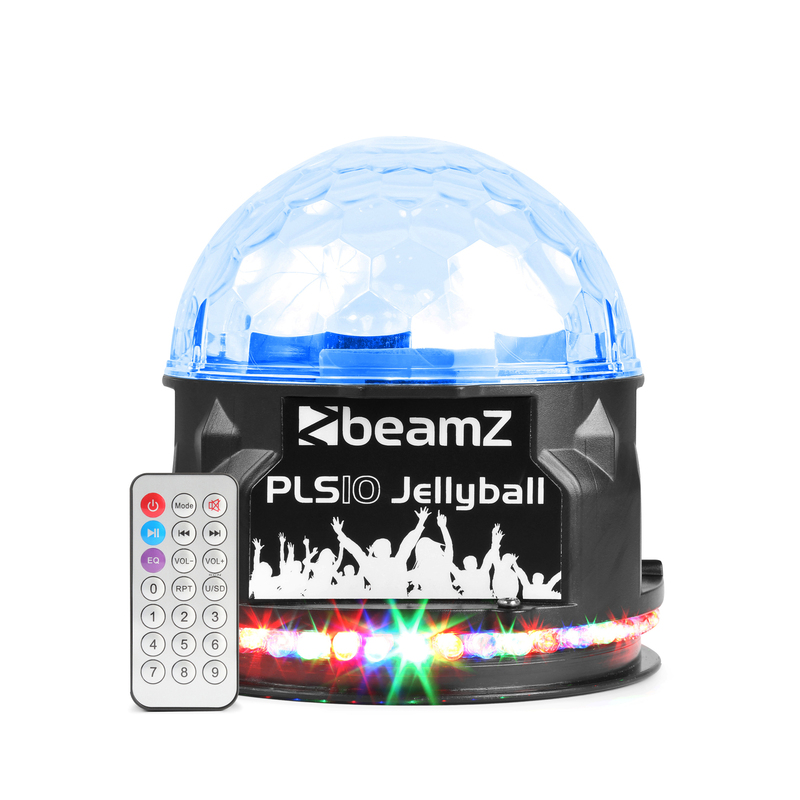 A combination of a DJ Jellyball with USB player and BT-receiver with speaker to stream music from your smartphone. 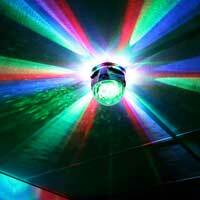 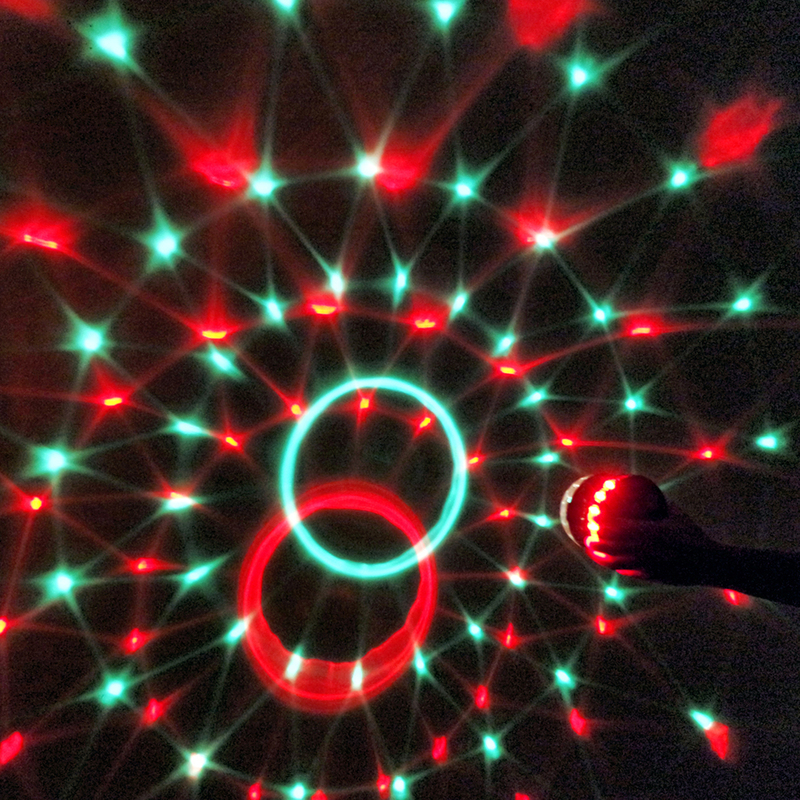 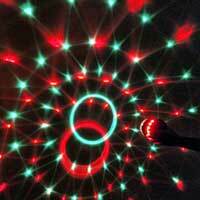 The ideal solution for any bedroom party or small venue. 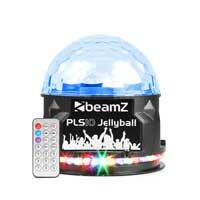 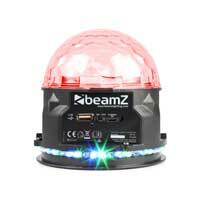 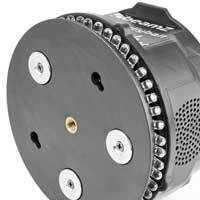 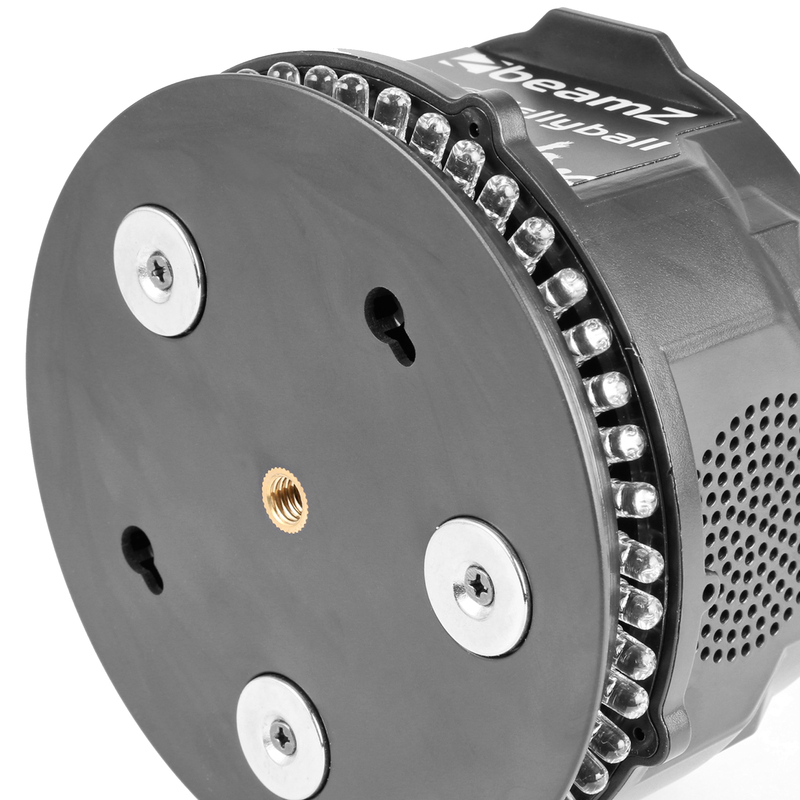 3 Strong magnets on the bottom and a built-in battery enable you to place the light almost anywhere you desire.